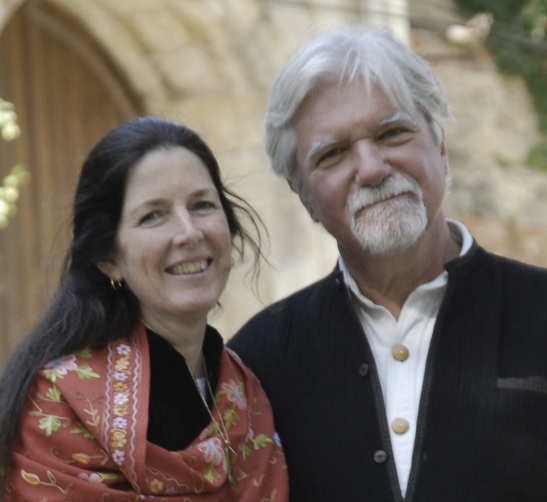 Kabir Edmund Helminski and Camille Adams Helminski, founders and directors of the Threshold Society, have been working within the Mevlevi tradition of Sufism for about thirty years. Kabir is the author/translator of several books of Sufi poetry, and Kabir and Camille have collaborated on several collections, including Rumi: Daylight, Jewels of Remembrance: 365 Selections from the Wisdom of Rumi, The Rumi Collection, The Pocket Rumi, and The Rumi Daybook: 365 Poems and Teachings from the Beloved Sufi Master. Kabir Helminski has developed programs that provide a structure for practice and study within Sufism and spiritual psychology. He has translated many volumes of Sufi literature, including many works of Rumi, and is the author of two books on Sufism: Living Presence: A Sufi Way to Mindfulness and the Essential Self, was published in 1992 by Jeremy Tarcher/Putnam Publishing Group. A collection of essays, The Knowing Heart: A Sufi Path of Transformation, was published by Shambhala in August 1999. Their books are now translated into at least eight languages. Kabir began the study of Sufism with Suleyman Hayati of Konya and was officially recognized as a Shaikh of the Mevlevi Order of Sufism in 1990, by the late Celalettin Celebi, Head of the Mevlevi Order. From 1980 until 1999 he was the director of Threshold Books, one of the foremost publishers of Sufi literature. Between 1994 and 2000 he toured with the whirling dervishes of Turkey, bringing the spiritual culture of the Mevlevis to more than 100,000 people. His books have been translated into Spanish, Italian, Dutch, German, Turkish, Russian, and Indonesian. He has an M.A. in Transpersonal Studies from the Institute of Transpersonal Studies and an honorary Ph.D. in literature from Selçuk University, Konya, Turkey. For more than thirty years, Kabir’s focus has been developing and sharing a contemporary approach to Islamic concepts and practice, both within the Islamic community and outside of it. In 2001 he was the first Muslim to deliver the prestigious Harold M. Wit Lectures on Spirituality in Contemporary Life at Harvard Divinity School. Kabir lives with his family near Louisville, Kentucky and now focuses on Sufi music, writing, teaching, and developing a program of spiritual education with an international team of scholars. Kabir has authored two volumes for the Book Foundation, The Book of Language: Exploring the Spiritual Vocabulary of Islam, and The Book of Revelations: A Sourcebook of Selections from the Qur’an. In 2009 Kabir was named as one of the 500 Most Influential Muslims in the World by the Royal Islamic Strategic Studies Center in association with Georgetown University. He is one of the signatories of A Common Word Between Us and You, an open letter by Islamic scholars to Christian leaders, calling for peace and understanding. Camille Adams Helminski is Co-Director (and co-founder) of The Threshold Society, a non-profit organization rooted within the traditions of Sufism and dedicated to facilitating the direct personal experience of the Divine. She has been working within the Mevlevi tradition of Sufism for over thirty years and has helped to increase awareness of the integral contribution of women to the spiritual path of Islam with her book, Women of Sufism: A Hidden Treasure, Stories and Writings of Mystic Poets, Scholars, and Saints. She was also the co-founder and co-director of Threshold Books which helped to bring into English many classic texts of the Sufi tradition. She has co-translated a number of volumes of Sufi literature, including the Sufi classic Awakened Dreams, and Jewels of Remembrance (excerpts of the Mathnawi of Mevlana Jalaluddin Rumi) and is the first woman to translate a substantial portion of the Qur’an into English: The Light of Dawn: Daily Readings from the Holy Qur’an. She has authored two anthologies for the Book Foundation, The Book of Character: Writings on Virtue and Character from Islamic and Other Sources and The Book of Nature: A Sourcebook of Spiritual Perspectives on Nature and the Environment, as part of a new curriculum for Islamic education. Her most recent publications are Rumi’s Sun: The Teachings of Shams of Tabriz, The Rumi Daybook, and Rumi and His Friends, Stories of the Lovers of God: Excerpts from the Manaqib al-‘Arifin of Aflaki. Camille has been a core faculty member of the Spiritual Paths Foundation which promotes peace, respect, and mutual understanding between peoples of diverse religious and spiritual traditions through programs in Interspirituality rooted in contemplative practice. She is one of the mentors of the Snowmass Interspiritual Dialogue and has also been designated as one of the spiritual leaders of WISE (Women’s Initiative in Islamic Spirituality and Equality). Kabir and Camille are closely associated with Sufi teachers from other tariqahs in Turkey, India, Iran, and Syria, all of whom are committed to integrating the classical methods with modern needs.